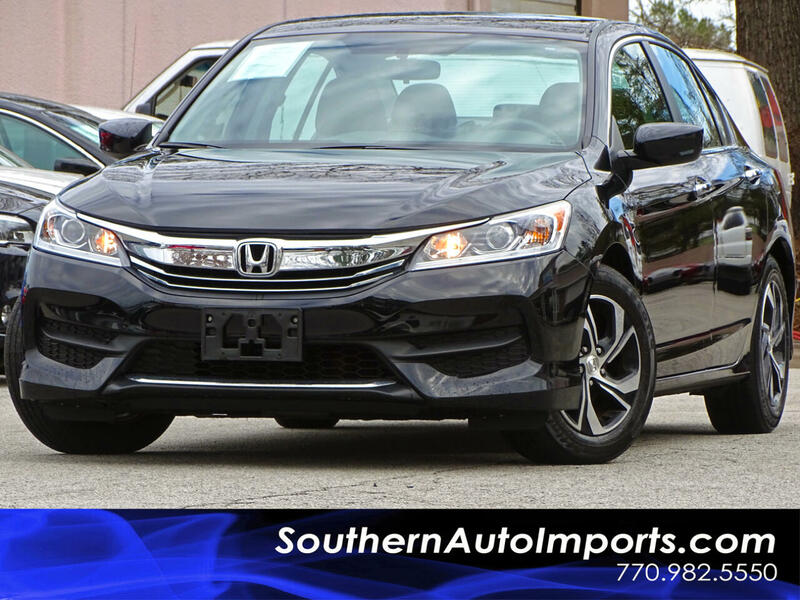 **ACCORD LX SEDAN**1OWNER**CLEAN CARFAX**NOT A RENTAL/STRUCTURAL/FRAME DAMAGE**CALL US TODAY AT 7709825550 TO GET THIS HONDA TODAY** LOADED WITH, BACK UP CAMERA . BLUETOOTH CONNECTION, PREMIUM SOUND SYSTEM . PWR LOCKS, WINDOW, MIRRORS, KEYLESS ENTRY, MP3 PLAYER, STABILITY CONTROL, TRACTION CONTROL, ABS BRAKES . AM/FM RADIO . HD RADIO . STEERING WHEEL AUDIO CONTROL & VOICE CONTROL & AND MORE OPTION CALL US NOW! !